This blog covers two of my favourite things; business and fashion. 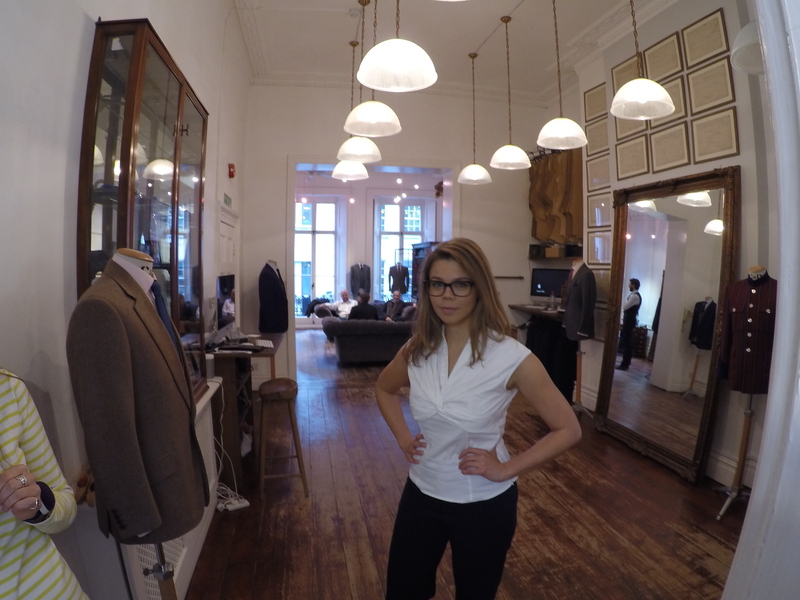 During my vlog I interview Phoebe the young female founder of Gormley and Gamble and find out how she is smashing though barriers and bringing female fashion to historic Savile Row. When I met Phoebe it was for her to show me her tailoring talents and answer an age old question of how to look good at work. Her recommendation was a bespoke silk shirt and although it wouldn’t have been my natural choice, I went with her expertise and set about choosing the component pieces. This piece can be customised in an impressive number of ways; length, shoulders, collar, buttons, colour, fit… the list goes on. I had my fitting in the plush Saville Row surrounding and relaxed for the next eight weeks while it was created. In that time I got to know a little more of Phoebe and her story and it was genuinely impressive and the sort of thing a fellow entrepreneur would love to share. So here is my summary and some of her own words about her journey in business. Phoebe was an undergraduate with a year left at university. She had her last years tuition fees, £9,000 in the bank and was keen to make her mark on the world. She had already spent her summers as a teenager in St James’ Savile Row and Jermyn Street. When she started asking about where to find exquisite made-to-measure women’s wear, she was told women were ‘too hard to please’ and none of the tailors liked doing it. Having also been a victim of the epidemic of substandard women’s fit, and an unsatisying university degree, she quit university early and invested what would have been her tuition fees into starting the business; hence the ‘gamble’. 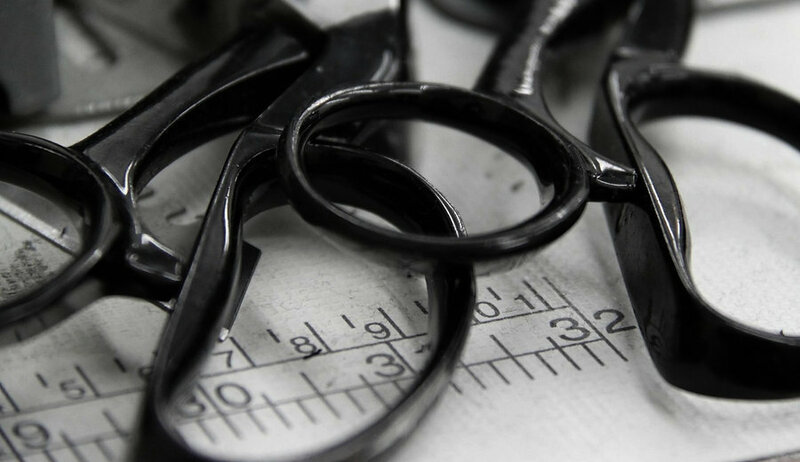 The business has been going just eighteen months and they are now the first women’s-only tailor in the history of Savile Row and the first woman to open a store on this iconic street. As you will know if you’ve viewed the vlog interview, I was actually shocked to discover how women were treated by tailors both as customers and potential competition. It is great to see a young business woman (or man) spotting an opportunity in the market, following a passion and making a success of it. I love my silk shirt. I found it flattering (so confidence boosting) and the material was divine on my skin. I particularly liked that my initials are on the sleeve. It makes the piece feel all the more special. I definitely enjoyed hearing about Phoebe’s story and I wish her all the best for the future. Women in business need to support one and other and share their stories to inspire others, so I was glad I was able to share this one. For those of you who are regular readers you will notice the shirt isn’t the only addition to my look. I have also opted for ‘geek chic’ in the form of thick rimmed glasses. This ordering process combines two passions too; fashion and tech (of sorts). I ordered the glasses from online Glasgow based startup IOLLA and their process is completely online and for a fixed price of £65. From choice of frames to virtual fitting to delivery no need to step foot outside your door. I am wearing ‘Bruce’ here. It is a neat concept and bound to be popular in this fast paced world we all live in. Plus I love the look! This entry was posted in BLOG, Wellness and tagged fashion, interview, savile row, silk shirt, women in business. Bookmark the permalink.